On today’s podcast we’re joined By Lanai Tabura and we discuss Hawaii’ nourishing foods you can enjoy her and also take hoe with you after your vacation. Just in case you need another reason to consider Hawaii for your vacation–your visit could be good for your health! Hawaii is home to a variety of super foods, all with essential nutrients, vitamins and antioxidants to kick start a healthier lifestyle. Enjoy the “feel good” benefits of these unprocessed natural foods, all found in the Hawaiian Islands. You are what you eat! The red fruit surrounding the coffee bean is gaining popularity as an antioxidant. KonaRed, based on Hawaii, has developed a juice supplement to delay aging, prevent disease, and provide a mood boost. The concoction of antioxidants and acids results in a juice that is immediately absorbed at the cellular level. The power of KonaRed comes from the coffee fruit that surrounds the coffee bean. The fruit surrounding and protecting the seed (or bean) is removed, dried and condensed into a liquid that blends with other delicious fruits to create this amazing beverage. KonaRed’s Hawaiian CoffeeBerry consists of only the ripe red fruit, the whole fruit and nothing but the fruit. For more information, visit konared.com. This light green fruit has been used to treat a wide range of medical conditions including menstrual cramps, asthma, tumors, broken bones, skin conditions, and inflammation. Its juice contains high levels of phytochemicals, macronutients, and micronutrients to strengthen the immune system and regulate cell functions. 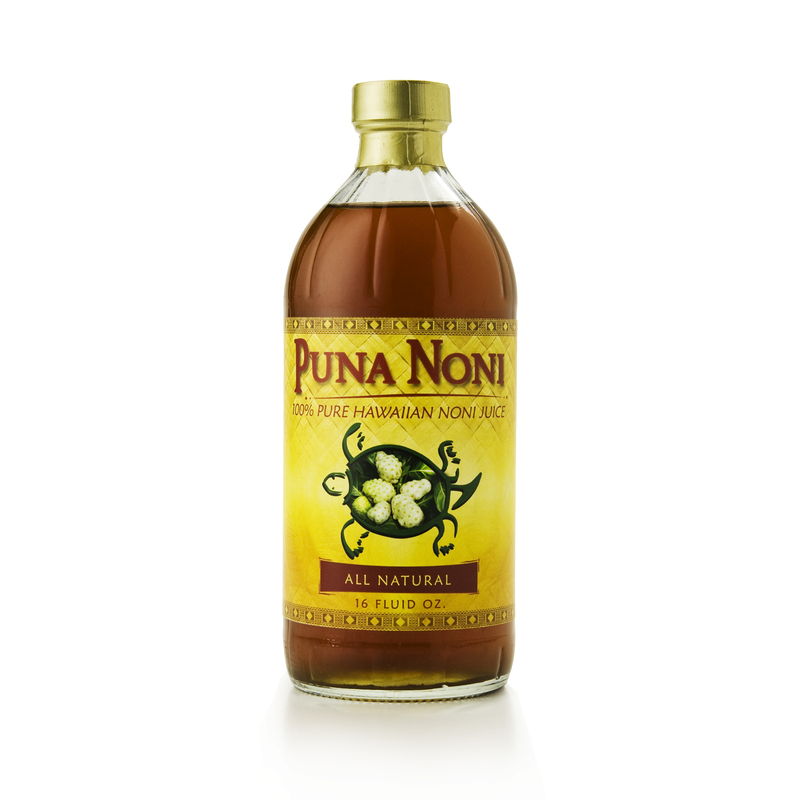 Find noni juice at health food stores throughout Hawaii, including Whole Foods Market, Umeke Market, and Down to Earth. Noni juice from Hawaii is used to treat a variety of medical conditions. Photos courtesy Noni Connection. Considered a staple in the diets of ancient Hawaiians, ulu (breadfruit) provides sustained energy from carbohydrates and its low fat content. It is an excellent source essential minerals such as fiber, calcium, copper, iron, magnesium, potassium, thiamine, and niacin. For more information, visit NTBG.org/breadfruit. Carbohydrates are the main source of energy with low levels of fat and protein and a moderate glycemic index. The seeds are edible and can be boiled, roasted, or ground into a meal. Indulge in moisture-rich kukui nut oil, high in Vitamins A, C, and E. This moisture-rich oil is high in Vitamins A, C and E, and provides antioxidants that rejuvenate and protect skin and hair without leaving a greasy residue. Added in creams, lotions, and massage oils, the kukui nut is said to be good to provide relief from burns, eczema, dry skin, psoriasis, acne, scares and lesions. Kukui nut oil from Hawaii is a natural moisturizer. Photo courtesy Natual Dog Company. 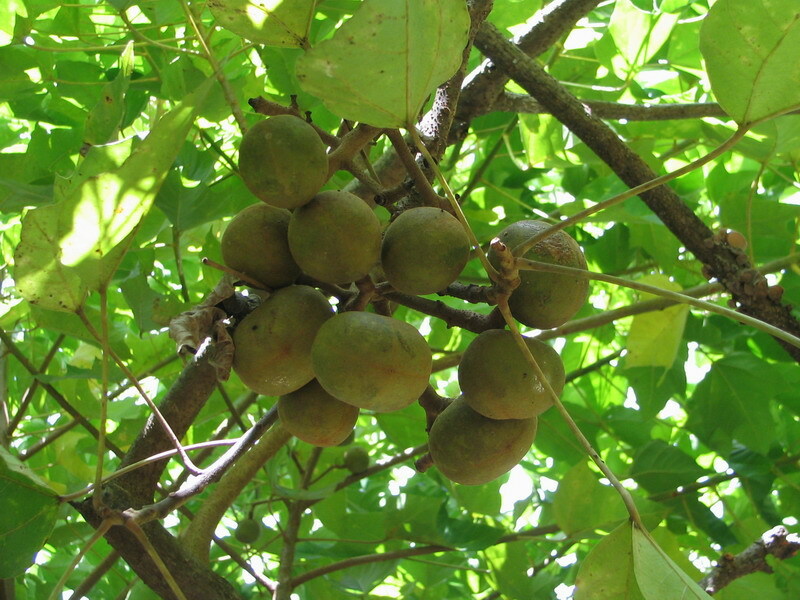 The kukui nut tree is the official tree of Hawaii, and has been used by natives for hundreds of years. They recognized the oil’s high penetrability and soothing properties, and utilize it in helping sooth sunburns and chapped skin. Keep away from high temperatures and direct light. It is a semi-clear liquid having little or no odor, and blends well with most formulations. A few retailers that specialize in kukui nut oil include Hawaiian Bath & Body , Oils of Aloha, and Island Lotions & Gifts. So, on your next visit to Hawaii, take advantage of these unique superfoods–and boost your health while on vacation!